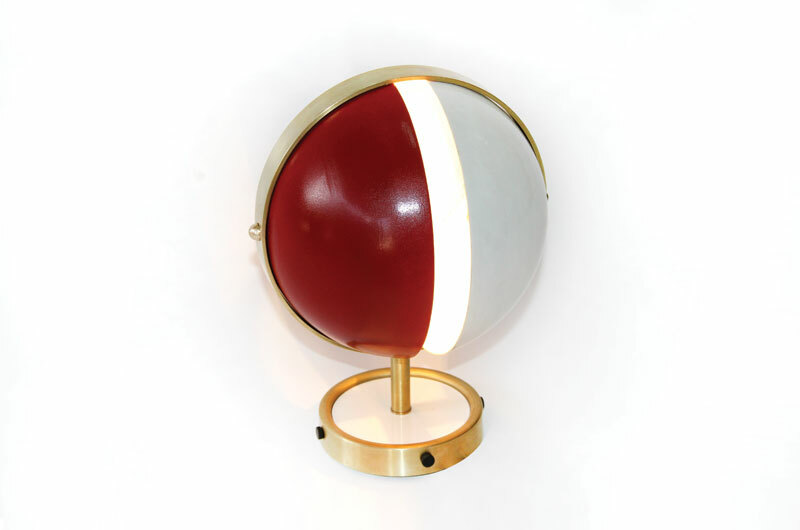 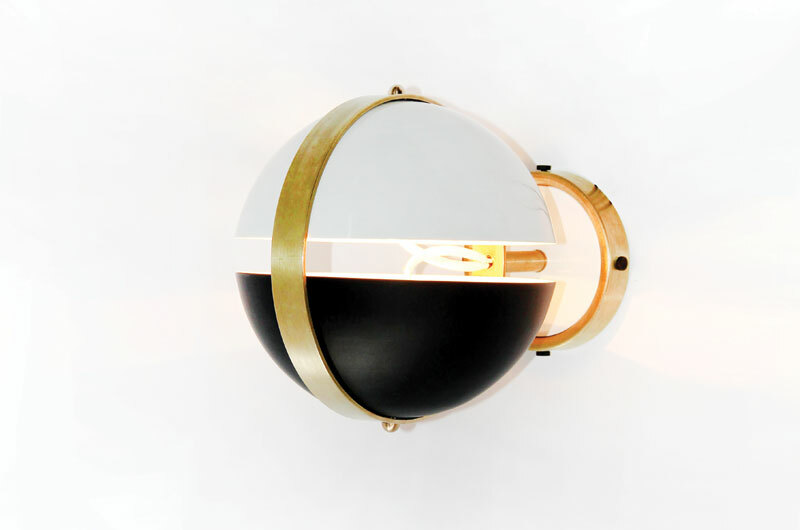 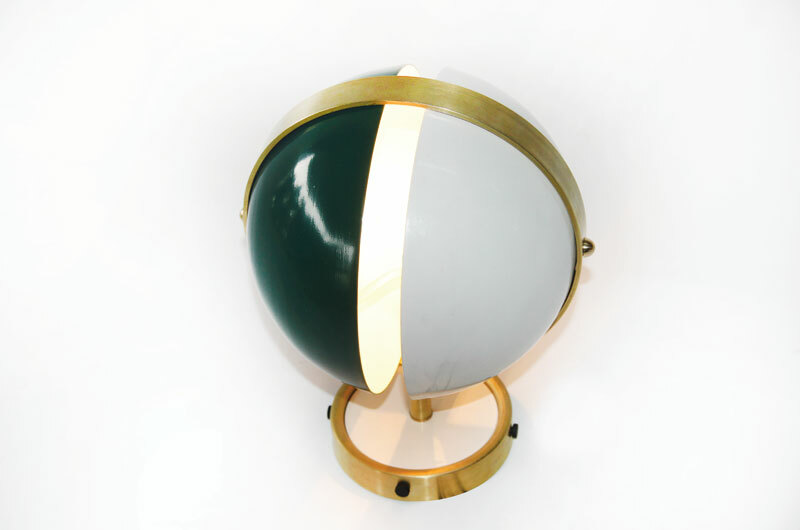 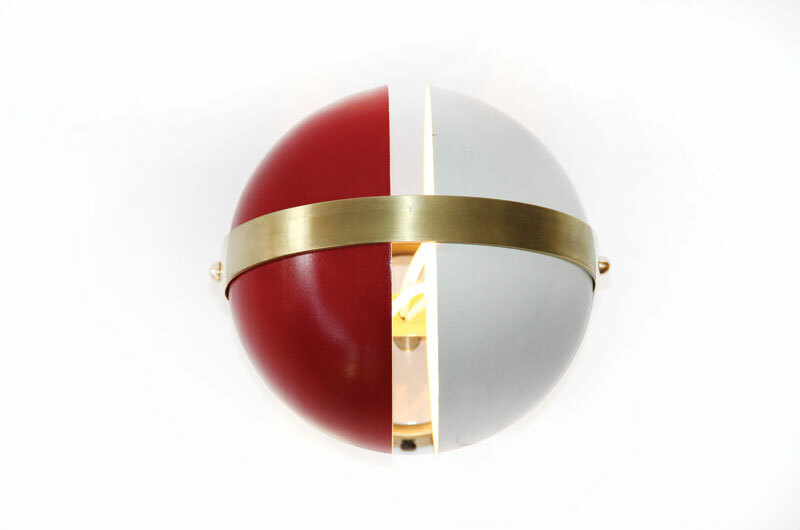 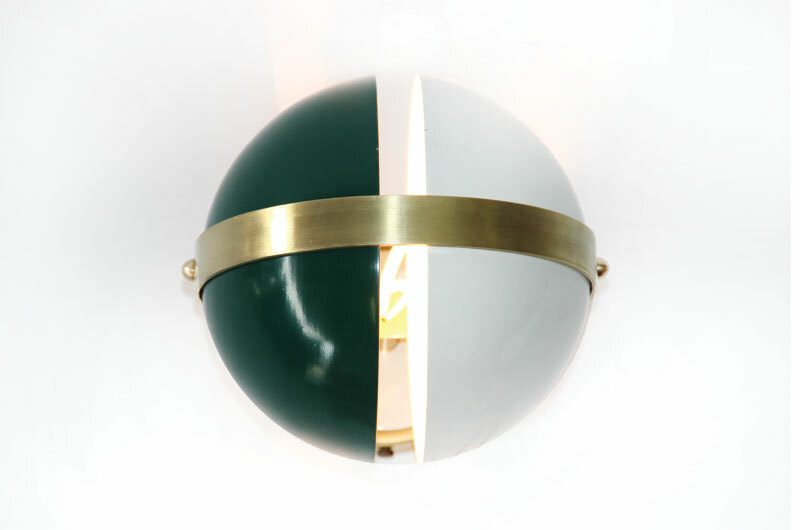 The Polar sconce, with oppossing half ball shells held within a solid brass ring. 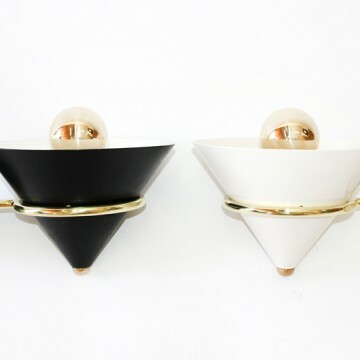 Two brass candelabra sockets 40watt each. 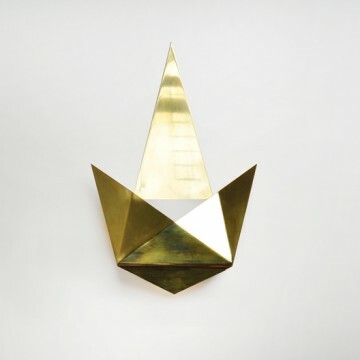 UL listed parts. 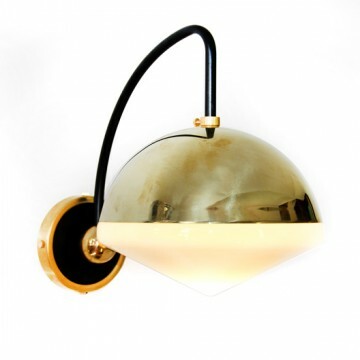 Two tone brass backplate with universal mount. 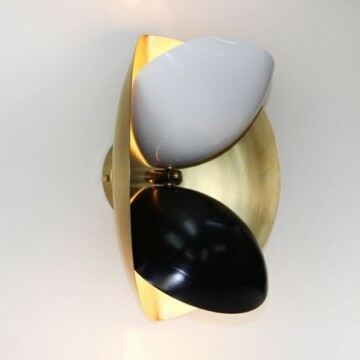 Avilable in ancient white,matte black, green, red, royal blue, and custom color will be considered for additional charge. 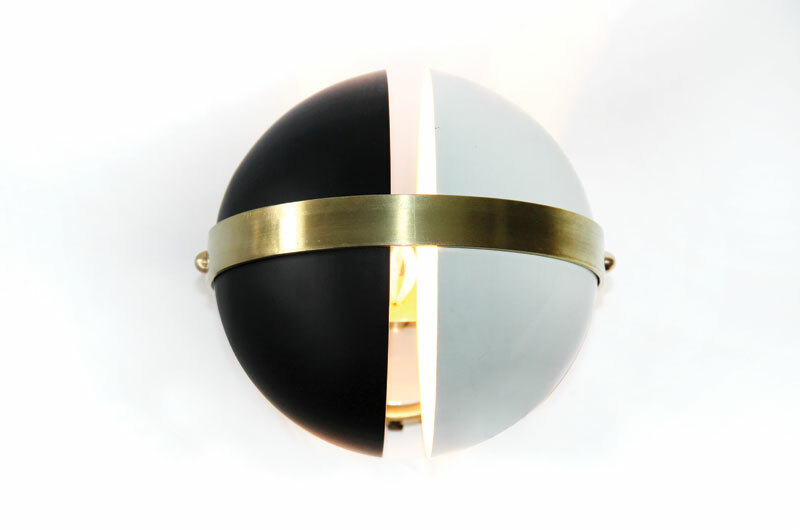 Designed and handmade by Jason Koharik.